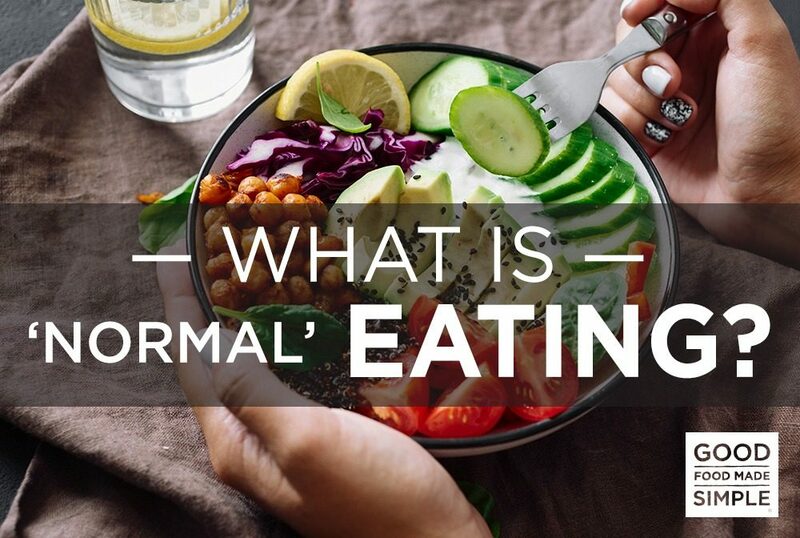 At this time of the year when so many people are making goals around food and eating, it might be helpful for you to know what “normal eating” actually is. That’s a confusing topic, right? Everyone has their own ideas. But it becomes a lot more clear when you factor in food behaviors rather than only focusing on the food choices themselves. For example, what if you decided to cut out sugar but you find yourself bingeing on sweet treats every weekend? Essentially, having a bunch of food rules may only lead to extreme behaviors which aren’t healthy or “normal eating”. “Normal eating is going to the table hungry and eating until you are satisfied. It is being able to choose food you like and eat it and truly get enough of it -not just stop eating because you think you should. What this definition does is normalize a wide variety of eating behaviors. Eating should be flexible, variable, satisfying, nourishing and enjoyable. It shouldn’t be obsessive, preoccupying, rigid, overwhelming or worrisome. That’s no way to live! Don’t tell yourself that there are certain foods you can’t have. That will only make you anxious and lead you to behave in extreme ways around food. When you know you can have a food anytime you really want it, you’ll feel less preoccupied with it. On the other hand, if you know this is the last time you’ll be able to have it(or at least the last time this week or this month, etc), you’re going to have all of it right now, no matter how uncomfortable it makes you. It’s much easier to respect your body’s signals when you aren’t micromanaged by food rules. You may run scared of satisfaction because you equate it with overeating, However, satisfaction is your solution! I would encourage you to eat for the intent to feel satisfied. Eating to feel satisfied naturally decreases overeating or under eating because neither of those are satisfying (rather, uncomfortable or painful). Feeling full and satisfied from your meals and snacks is your solution. Not feeling full and satisfied is what leads to extreme behaviors. Instead of tracking calories or portion sizes, I would encourage you to track hunger and fullness levels before and after eating, while paying attention to how the food makes you feel. After a meal or snack are you left feeling satisfied? Energized? Lethargic? Still hungry? Balanced? Get curious about how you feel and function instead of being judgmental about what you look like or weigh. 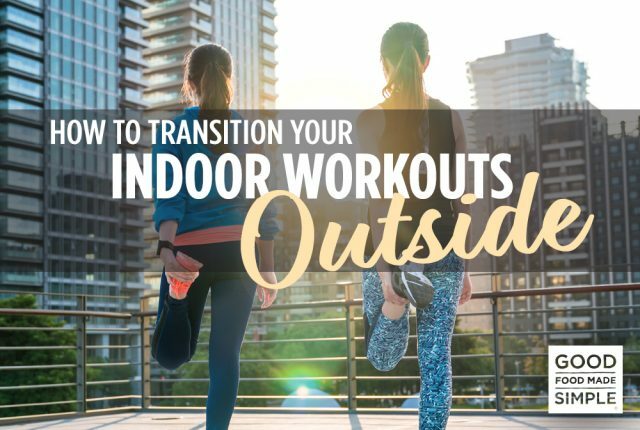 This will help connect you to intuitive signals that will naturally guide your eating instead of needing to use outside trackers. Normal eating includes being mindful. Can you practice eating without distractions or multitasking? Take a step away from your desk and phone or TV. You are more likely to know when you are full and satisfied if you are paying attention. You could set a goal to do this with one meal or one snack each day. Add variety to your meals and snacks. You could try new recipes, use new products and get outside your comfort zone. It’s so easy to stay safely in what is familiar and miss out on new experiences. Taking kitchen shortcuts and using premade items is a smart way to increase convenience as you do so. 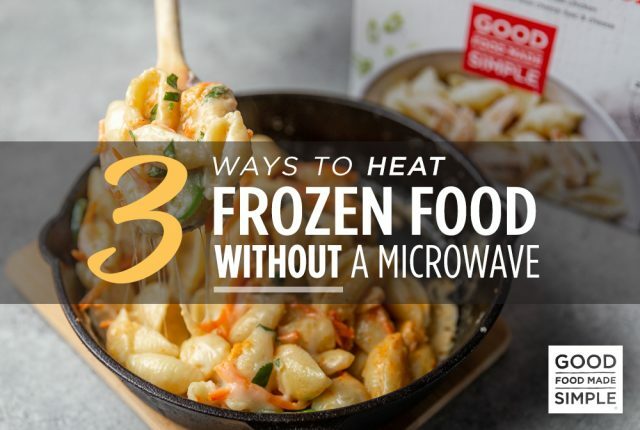 Good Food Made Simple products are a perfect way to start! 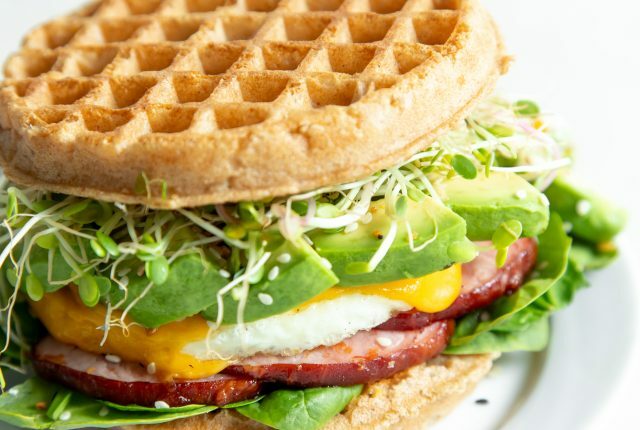 Becoming a normal eater is possible for everyone. In fact, you aren’t learning something new, you are remembering something you were innately born with. Keep that in mind as you practice – you CAN be a normal eater!